Mansour, renowned Egyptian artist, hosts the annual meeting for WOW, Women of the World, on April 5, 2017 at Mansour Gallery in Maadi, Cairo, Egypt. 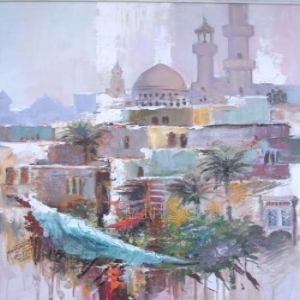 WOW members will enjoy viewing his well-loved landscapes and portraits with Egyptian themes. The meeting will include a tour of his gallery and a brief lecture on the various styles, techniques and media he uses to create unique and endearing Egyptian paintings. He's highly skilled in Classic Realism, Impressionism, Modern, and Abstract style. 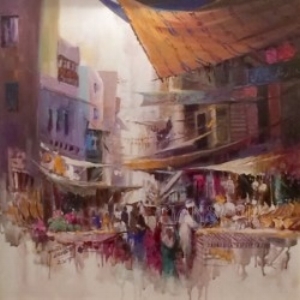 The members will delight in his expertise in the various media such a oil on canvas, acrylic, pastel, sculpture, and watercolor which have made him an international name in art and an Egyptian National Treasure.